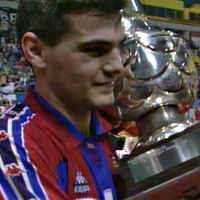 21.06.2016 - FEATURE: Two protagonists, Ortega and Saracevic recall memories of perhaps the greatest handball duels of all time at the end of the 90s. 29.04.2016 - FACE TO FACE: Filip Jicha and Niklas Landin met for rehab at THW Kiel before the Czech departed for Barcelona, and now only one of them will make it to Cologne. Will five goals be enough for Kiel’s FINAL4 ticket? 29.04.2016 - QUARTER-FINAL PREVIEW: Barcelona host Kiel with a five-goal deficit to turn around and the chance to be the club’s only Champions League semi-finalist.